The desire of many citizens of the former Soviet Union to buy properties in Latvia is easy to explain. After all, this market is the closest path to the European Union. At the same time, in comparison with a number of EU countries, housing prices in Latvia are quite democratic, as the cost of living, and the living standard is quite high. Last but not least is the fact that the future residents of Latvia are adapting to the language barrier quite easily. Realty in the capital Riga, flats in Jurmala, houses in Liepaja... Latvian real estate market is very diverse and can meet the conditions and requirements of even the most demanding customers. Moreover, a variety of proposals here can be found both in the secondary and primary market. Moreover, buying realty by the builder in Latvia, you can save on the difference between the commercial value of the finished housing and thereby properly to invest your free capital. After all, at the end of the construction of a property you may use it for personal purposes, or to resell it profitably. The housing market in Latvia is attractive to those who are not only looking for high standards of living, but also wants to live in a country with excellent ecology. In Latvia, there is practically no heavy industry. At the same time, the amount of natural resources per capita in Latvia exceeds the European average. And namely this country has been recognized as the best according to ecological indicators among all the Baltic countries. Latvia – a country of amber is extremely safe for living that is why Latvia is of great demand to young families with children who are concerned about their future. 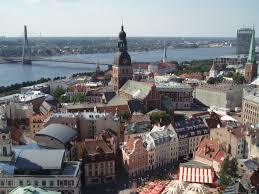 Why invest in real estate in Latvia right now? Latvia's economy, as the housing market of the country, suffered greatly during the years of the global financial crisis. But namely the crisis has allowed real estate prices to fall to a more realistic level. All this allowed new players to appear on the market - buyers of private residential houses, inclusive sea properties, or small-scale foreign investors. And while the cost of private housing has not yet reached record levels, it's time to think about buying your own home in Latvia.